Ethan Saylor died because police responded with rapid and unnecessary force to his disability. I worry, not only for my son with Down Syndrome, but for all others who face similar tactics. This past January, in Frederick, Maryland, a local man named Robert Ethan Saylor went to see Zero Dark Thirty. Ethan, who had Down Syndrome, went with his aide; when the movie ended, he decided he wanted to see the movie again and stayed in the theater. The theater manager demanded that he pay, then called security when he would not. Three local sheriff’s deputies, off duty and moonlighting as mall security, tried to forcibly remove him. They handcuffed him and threw him to the ground. What happened next is a little unclear. Did they knee him in the back? Did they put pressure on his throat? They definitely held him down. A witness heard him cry out, “It hurt. Call my mom.” Indeed, his mom was on the way to try to defuse the situation. But a few minutes later, Ethan was dead. A medical examiner determined that he died of asphyxiation and identified bruises and abrasions on his body and a fracture in the cartilage of his throat. The death was ruled a homicide. The local sheriff took charge of investigating, but filed no charges. Now a federal investigation is underway, which the sheriff is confident will clear his officers. “This is simply an unfortunate situation where this man had a medical emergency while being escorted out of the theater,” he told The Washington Post in July. The deputies have since returned to work. I, too, have a son with Down Syndrome. His name is Nico. He often ignores verbal directions, or shouts and resists guidance—but he’s only 6. He’s not supposed to listen to his parents or teachers all the time. He is a fun, energetic and interesting little boy, driven by curiosity and friendship, and growing increasingly confident in his ability to interact with the world. But it is not always clear to what extent he understands the situations in which he finds himself. When we want to communicate with him, we use spoken words, images, sign language, an iPad app, touch, gesture and, most of all, patience—the very quality most lacking in tense situations. I worry that someday a police officer might tell Nico to do something and that he might ignore it. I worry that the officer will reach for a Taser, or pepper spray or truncheon. I worry about Nico because I know there is a larger pattern of police violence against people with disabilities. In recent years, police have attacked dozens of people with disabilities, such as autism, schizophrenia and bipolar disorder. People with epilepsy are at severe risk of death when tased (in general, 541 people have been killed by Tasers in America since 2001). Deaf people have been tased for refusing to respond to verbal commands. In all cases, these disabled people ignored the commands of police and suffered for it. In each case, it’s likely that the victim of police violence did not fully comprehend the commands or the consequences of their actions. 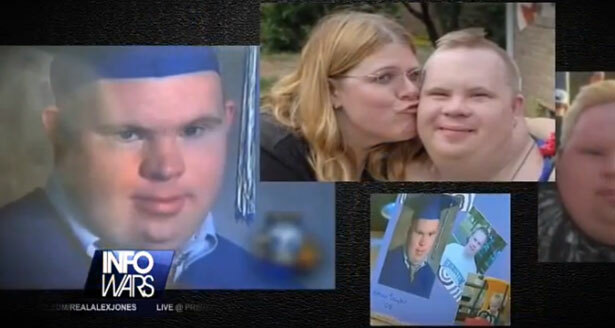 Ethan Saylor’s death sparked outrage from disability advocates, many of whom have sponsored calls for additional investigations. But it should not be seen as an aberration, nor is it an issue that matters only to family members or loved ones of people with disabilities. Even if you don’t know anyone with a disability, the lessons here are grim. Police expect instant compliance to their commands. If they do not receive it, they resort to a physical confrontation—often with “non-lethal” weapons such as Tasers and pepper spray. Police brutality crosses the contested lines of race, class, and gender. We tend to read these police shootings or other incidents through our biases and let the facts confirm only what we want to find. But there is a certain kind of clarity when a deaf woman is tased for not responding to verbal commands or a man with Down Syndrome is killed for not getting out of a chair in a movie theater. Look back at the Sherriff’s department statement on the Martinez incident. The spokesperson implied that if Martinez had not had Down Syndrome, the deputies would have been correct to assault him. And why not, since accountability for such actions is erratic, at best? As the Saylor’s death shows, even when someone dies, the police can escape without consequence. So we can call for justice for Ethan Saylor, promote the online petitions and work with our local police departments to improve police training on disabilities. We must also push back more broadly against the casual use of force by police. We must be skeptical of police explanations and demand accountability in all cases. More generally, we must demand that police try to defuse tense situations without resorting to violence unless imminent danger looms. Maybe training and better awareness of the complexities of interacting with people with disabilities will help. But in the meantime, all I can do is help my son learn this abhorrent truth: he lives in a society in which the police can inflict arbitrary violence on any “non-compliant” individual. I have to teach him to obey everything any police officer says, instantly, so that he isn’t pepper sprayed, beaten, tased or killed. And then I just have to hope that he listens. David M. PerryTwitterDavid M. Perry is a journalist and historian. His blog is How Did We Get Into This Mess.